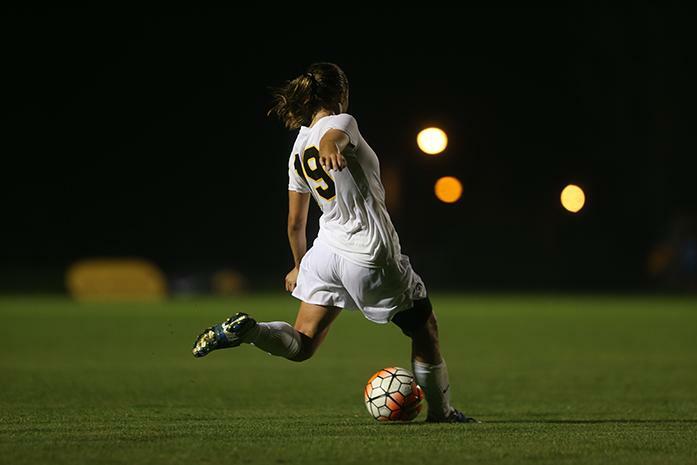 The Hawkeyes will take on Michigan State and Michigan this weekend. 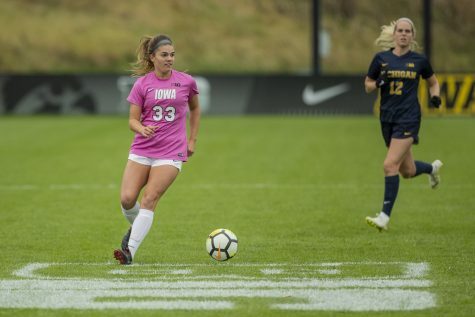 The nonconference season is over, and now the real fun starts for the Iowa soccer team. The Hawkeyes kick off Big Ten play with a road trip to the state of Michigan to take on Michigan State today and Michigan on Sept. 20. 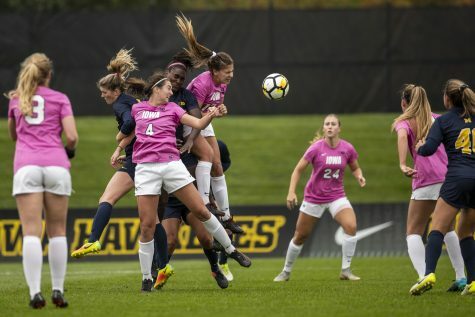 Big Ten play will be a large switch from the previous matches the team has played, head coach Dave DiIanni said. 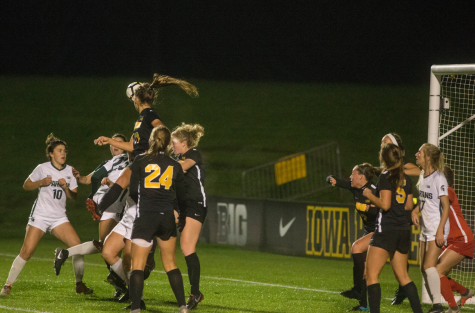 The upperclassmen have seen this intensity firsthand, but many new faces don’t know what Big Ten play is all about. 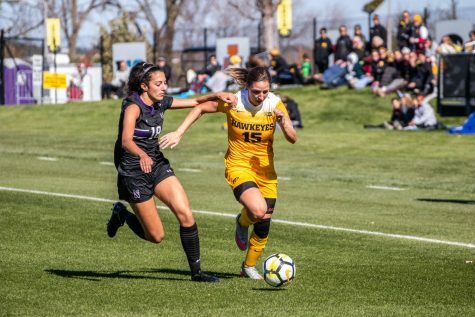 With more than half of the team made up of underclassmen — 14 are freshmen or redshirt freshmen — there is a lot of inexperience on the Hawkeyes. The Spartans, on the other hand, return as many seniors as Iowa has upperclassmen. In order to combat that, those with experience in more intense situations have taken it upon themselves to ensure the newbies are prepared. 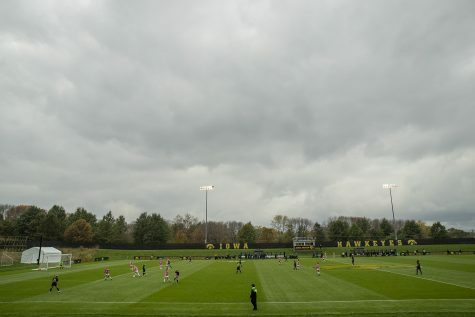 Another challenge Iowa will face is having different plans of attack for the two games, considering how unalike Michigan State and Michigan are. Michigan State will be more like the Hawkeyes in that it is a more defensive team, DiIanni said. He plans on a low scoring match and hopes his Hawkeyes can keep control of the ball in order to keep pressure on the Spartan defense. Michigan, on the other hand, is a much more offensive team and more challenging all around. 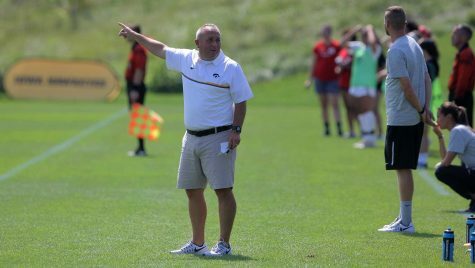 DiIanni hopes that with a win today, the team would be able to play more relaxed — and more aggressively — on Sept. 20. The key to beating Michigan will be getting ahead early. 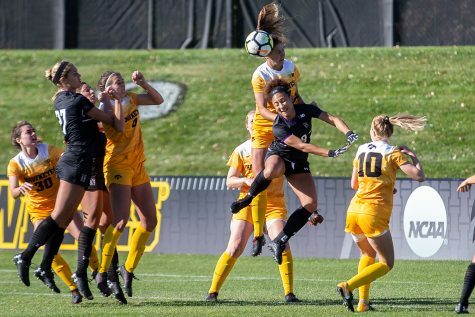 Although the team has to be the visitor for its first set of games, the second-year head coach hopes the road trip will benefit his players rather than be a complication. The close quarters allows the coaches have extra control over how much sleep the players get, what kind of food they eat, and cut out any distractions. 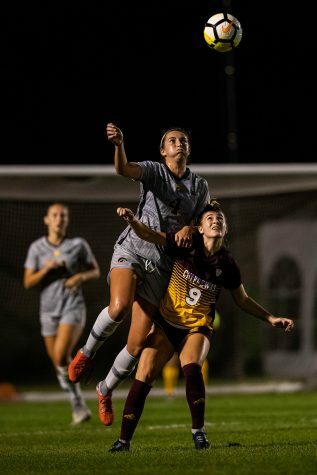 Junior Amanda Lulek looks at the bright side of having to travel. After the last nonconference game against Illinois-Chicago, DiIanni noted some frustration with the lack of effort in his team. However, the energy is back up heading into the Big Ten season.